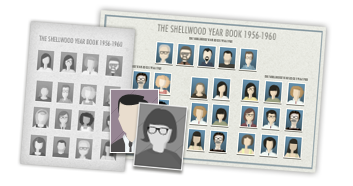 Yearbooks, alumni lists, and other school related records can be rich in details about the people in your family tree. You can learn what clubs and activities family members took part in, and see photographs from their school years. Some yearbooks even include insights into the student and faculty's personalities with quotes and comments. Yearbooks typically include individual photographs of the students, as well as activities, group shots, and school events.